Playing as part of an amateur ensemble can be a fantastically rewarding experience, but it can also go badly wrong if you don’t bother to put in the preparation needed to fully develop your musical skills. 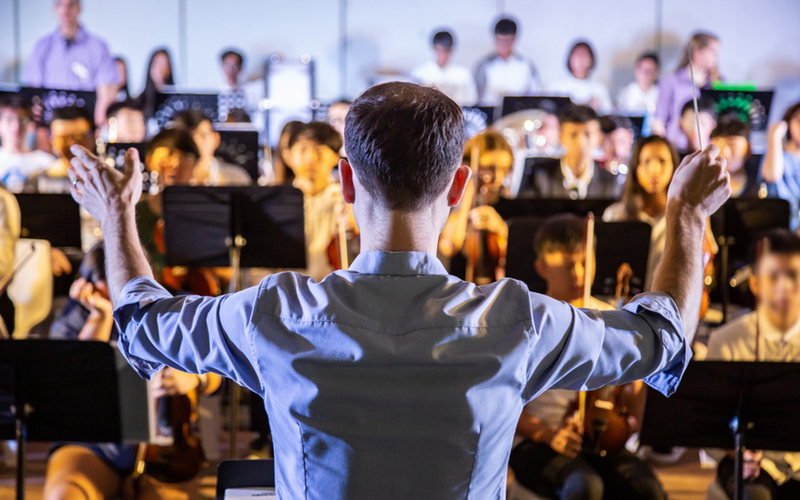 We’ve discussed before how you can build your own concert program, and how to use composing software to adapt material for an ensemble, but rehearsal is a key part of an amateur orchestra’s development. Here’s are some practical steps you can take to hone your skills as an amateur ensemble. With any group of amateur musicians, expecting everything to fall into place with minimal effort will quickly lead to disappointment – or even worse if you’ve not given yourself enough time to iron out as many issues as you can. If you’re working towards a particular performance, it’s always advisable to begin practicing a good while beforehand, but also to set aside enough time for each practice session. No ensemble, whether it’s comprised of amateur musicians or seasoned professionals, is going to be note perfect from the beginning, so leaving enough time to familiarise yourself with the music is crucial. This sound like a bizarre element of practicing, but learning to breathe together, and in the right places, can play a big part in ensuring that everyone in your ensemble is playing in time with each other. Even the slightest delays or one person falling out of time can throw a whole piece of music into disarray, and taking an enormous gulp of air when the rest of the instruments are already halfway through the first notes isn’t going to do your performance any favours. One of the important skills to master, when playing music with other people, is ensuring that your own parts fit exactly as they should into the larger whole – and the best way to do this is to develop your awareness of what everyone else is doing. If you spend a whole performance with your eyes glued to the score, you could conceivably play your own parts brilliantly – but by the end you could just as easily be out of time with everyone else. Working on your ability to stay aware of your surroundings is therefore an important step towards playing as part of a larger group. You can improve how well you hear each of the other players, but also how well you can keep them in your peripheral vision, without losing focus on your own parts. This can be especially useful if you’re attempting to play a piece with a faster pace than you’re used to. You can begin at a much slower speed and slowly work your way up, over multiple practice sessions if necessary. This is a more practical piece of advice than you may think. Often, tension and anxiety can result in a rather stiff, inflexible playing style, so allowing yourself to relax and enjoy yourself can actually help the performance to gel. Ultimately, practice is always a process of gradual improvement – no ensemble or orchestra starts out ready to perform for an audience, and it’s only by taking the time to develop together, as a group, that you’ll reach the point where you feel comfortable performing.